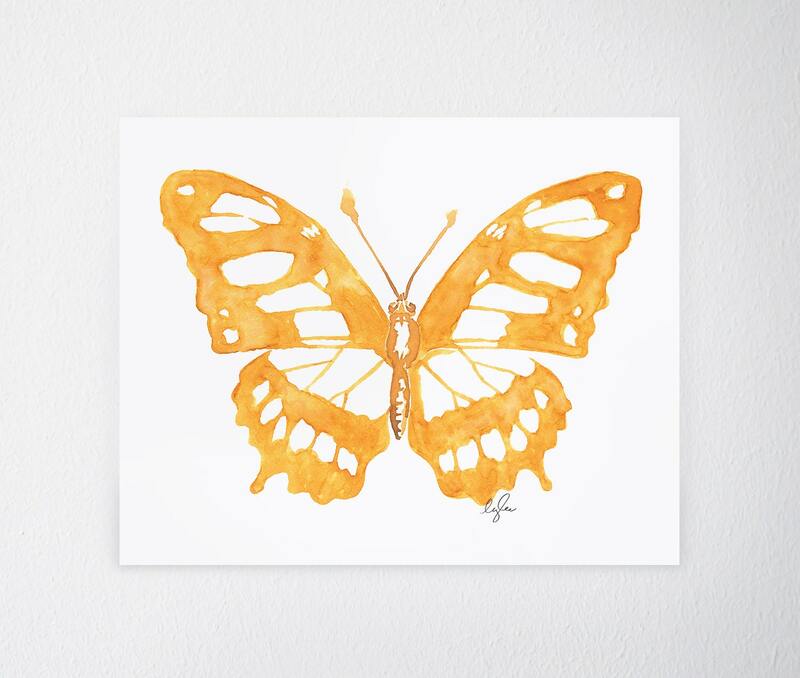 This golden Malachite butterfly print, made from my original watercolor painting, is just so charming! Butterflies are classic and beautiful. And I chose these butterflies specifically for the gorgeous patterns in their wings. This print definitely adds that perfect finishing touch to any space, making it instantly feel like it belongs in a magazine! The Malachite butterfly print pairs perfectly with the other bee and beetle prints in the Winging It collection! And each one is printed on carefully selected, high quality paper with archival inks to ensure a beautifully vibrant print, and also meets our uncompromising quality standards. 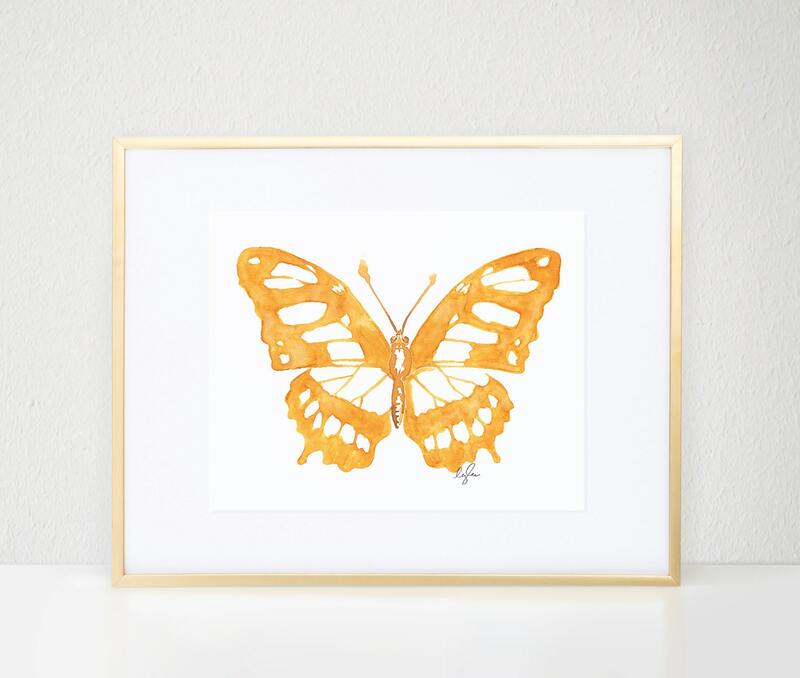 The 11"x14" print, when framed, would make a perfect statement piece in any bedroom, bathroom, closet, nursery, kids room or even a chic addition to a gallery wall! Available in 5″x7″, 8"x10", or 11"x14"